With Pumbaa productions and the support of Kop Gas, we climb the Wave Riders (ED,A4+, 300 mts.) with Roger Cararach, who manages to free-climb this hard route in Montserrat, forcing sections of up to A4, etc.. 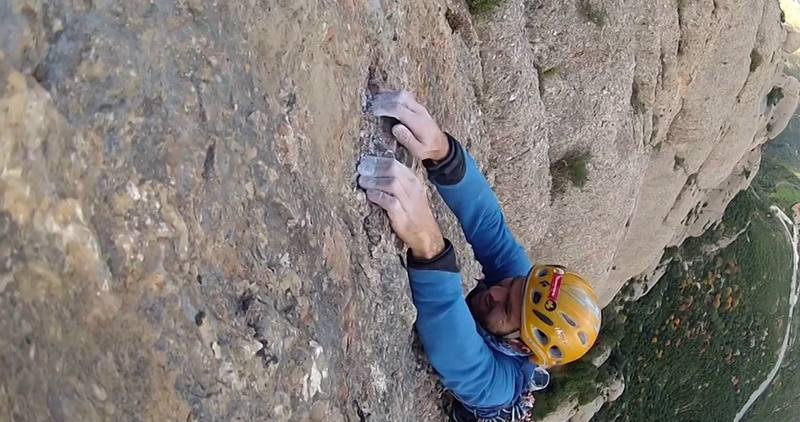 Extreme steps on precarious protections in a video that will boost your sense of vertigo!